Virtual reality is suddenly a big deal again. It's like the early 90s, but with devices you might actually want to buy. 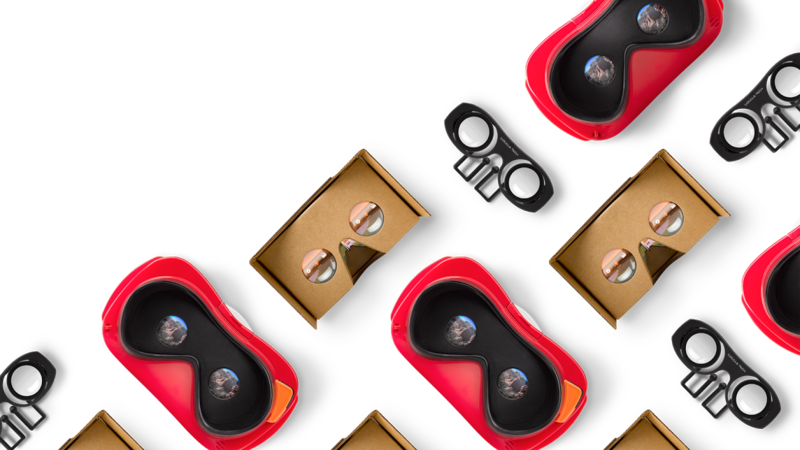 Google is ramping up its Cardboard VR promotion with a dedicated VR area of the Google Store. Featured for sale are the View-Master and C1-Glass VR viewers. The page includes basic information about what Cardboard is and includes links to several viewers for sale. One is the same old cardboard Google Cardboard viewer they've had for a while. It's $15 for a single viewer or $25 for two (kind of expensive, in my opinion). The Mattel View-Master comes with a preview reel of special content for the device for $30. Then there's the unapologetically hipstery Goggle Tech C1-Glass VR Viewer for $15. The VR section doesn't currently get a link in the top navigation row of the store, but there's a big banner image on the Google Store home page. It's pretty limited right now, but maybe Google will expand this section over time and add more viewers, making it a hub of the best ways to consume Cardboard content.